NASCAR, left turns, Keystone Light, yadda, yadda, yadda. 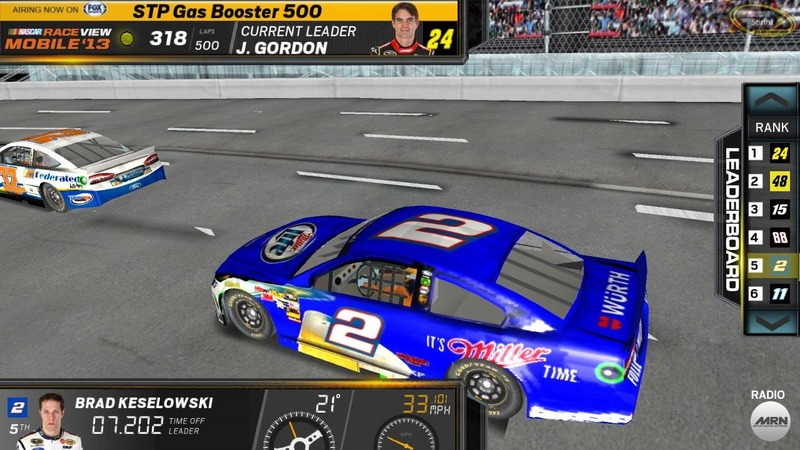 Now that we've got the requisite good-natured ribbing of NASCAR fans out of the way, you've got to check out the impressive race coverage features in the latest official tie-in to America's biggest stock car racing tournament. 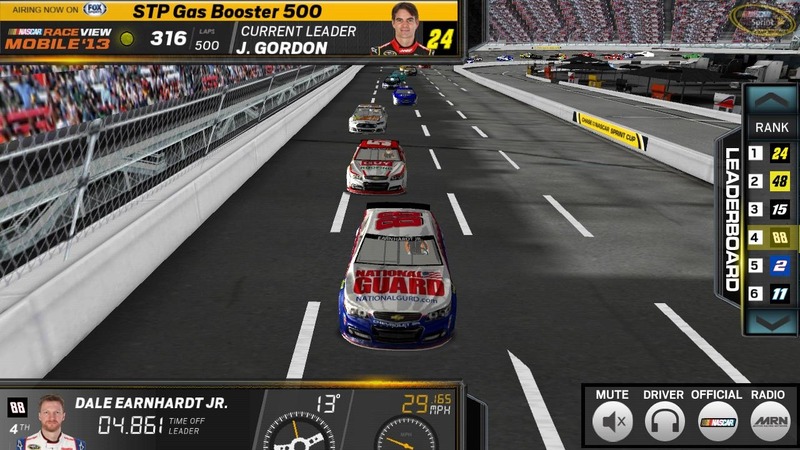 NASCAR RaceView Mobile '13 is intended to be a "second screen" experience for watching the race on TV, providing a plethora of live information on drivers and vehicles. But wait, there's more! In what might just be the first implementation of its kind, RaceView recreates live races in a virtual 3D environment, using telemetry to track individual racers and their relative positions in real time. It's sort of like watching your buddies play Daytona, except that in this case, your buddies are professional drivers who are doing it for real. 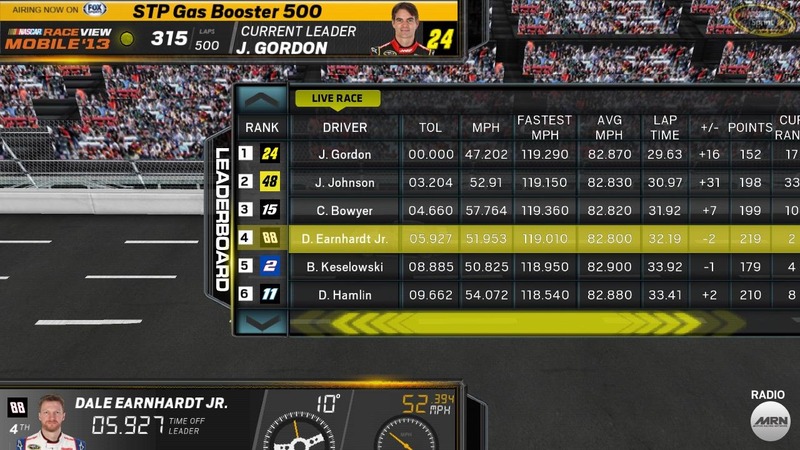 Users can zoom in and out, select different racers easily, and keep an eye on the leaderboard. There's also a live audio broadcast of the current race and in-car audio feeds. Unfortunately, you'll need a subscription to enjoy the app - $4.99 a month or $39.99 a year. At that price you'd save a little for an entire year of race day coverage, but for the remaining NASCAR season, it makes more sense to go month-to-month. (Sprint unlimited customers: since Sprint is a major NASCAR sponsor, you can get access to the RaceView app for free, gratis, and nothing.) Early reviews of the app cite a slight delay in the syncing of the 3D tracking and the various audio feeds.